Doggone it, there are no exciting consumer robots – LET'S TALK ROBOTS! If CES shows us anything it’s that consumer robots aren’t exciting, they’re appliances. 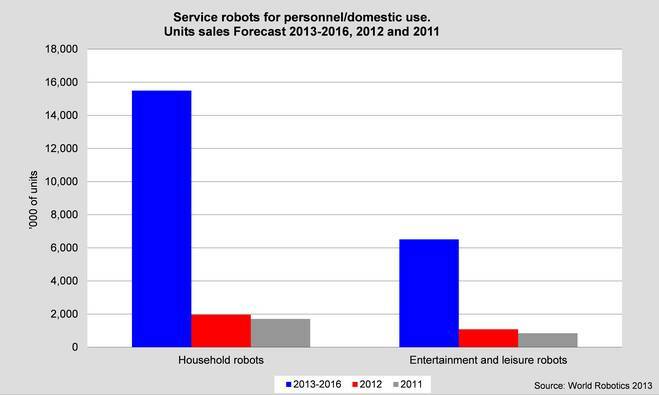 But it’s exciting that we have a growing field of consumer robots, smart devices and appliances. According to the IFR, the International Federation of Robotics, the consumer robot segment is the smallest robotics segment but it has the greatest potential for growth, in spite of very low margins. The IFR predicts a huge increase in unit sales over the next three years. Funds like Grishin Robotics and accelerators like TechStars, Bolt and Haxlr8r are blurring the line between consumer electronics and consumer robotics. Today Grishin announced their latest investment in Petnet, a smart pet feeder, which has just closed a $1.125 million seed round. 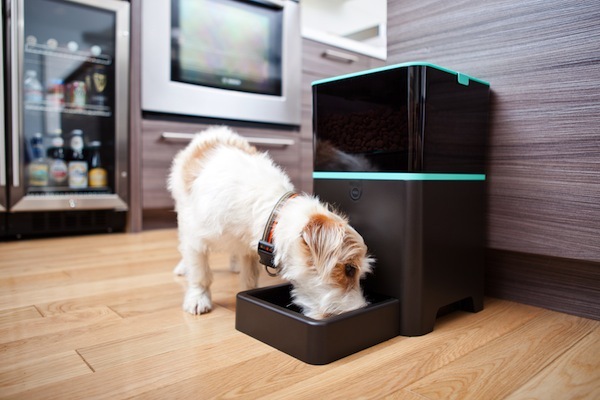 Petnet is a smart pet feeder which aims to improve your pet’s diet. Petnet has come out of the Bolt accelerator in Boston and have just closed a $1.125 million seed funding round, including investments by Grishin Robotics, Kima Ventures, SparkLabs Global Ventures and Launch Capital. Petnet will be using the funding to ship their first product, the Smartfeeder, due to reach customers in mid-2014. Petnet already have more than 10,000 orders in hand and the pet industry is $100B USD globally, with over 1 billion domesticated cats and dogs. The pet industry is a good entry point for consumer robotics. Until we’ve solved the problem of pizzas falling from the skies, delivery drone robots aren’t going to be real businesses, regardless of US drone commercialization regulations. Self driving vehicles are proceeding slowly to market with park assist and other features that aren’t mission critical or potentially fatal. Robot vacuum cleaners are now the most widely distributed robot of all time, outshipping military robots because they do one job reasonably well, but it’s not critical if they do it perfectly. Dmitry Grishin, founder of Grishin Robotics noted that, “even the simplest things around us are quickly becoming robots these days. Through unique combinations of powerful hardware, smart software, and internet-connectivity, Petnet is a perfect example of this trend. I am confident in the company’s ability to successfully tackle the worldwide pet health challenge and disrupt the multi-billion dollar industry”. It’s quite an art to find domains in which we can add a little bit more smart and create a device that performs well enough, but that isn’t going to pose any risk to people. All in all, we don’t want exciting robots as consumer robots, we want appliances. As Guilio Sandini, Director of the Robotics, Brain and Cognitive Sciences department at the Italian Institute of Technology said in a recent Robots Podcast, ‘we will see more and more robots that looks like electronic appliances’.